It’s one of the ‘big ones’ in the anti-aging market, hailed as a fountain of youth, and a staple ingredient in numerous skincare products. But, if you read around online you’ll find conflicting information about the benefits of hyaluronic acid for skin. Does the reality match the hype? Or is it just another fad designed to extract money from an unknowing public? 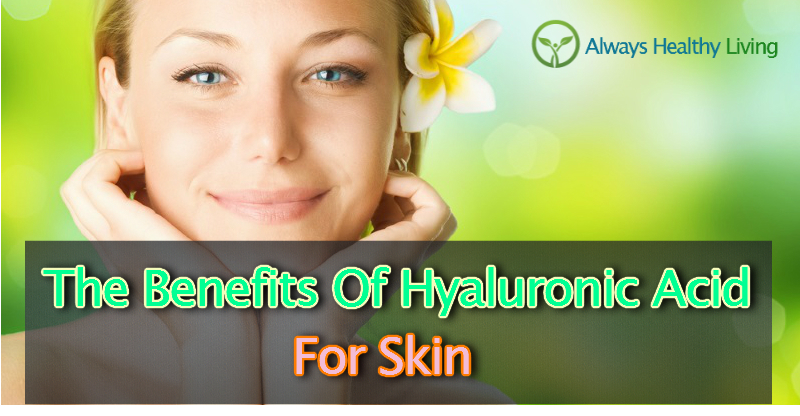 Hyaluronic acid (HA), also called hyaluronan, is of great importance in the human body because of its ability to attract and bind water molecules. It belongs to a group of naturally occurring polysaccharides (large sugar molecules) known as glycosaminoglycans. Its ability to hold water is greater than any other synthetic or natural polymer, with 1 gram of hyaluronic acid having the capacity to hold as much as 6 liters of water. And it’s this ability to hold water that’s responsible for its role in hydrating tissues and as a cushioning agent. Your body contains approximately 15 grams of hyaluronic acid and it’s distributed throughout, being one of the main components of the extracellular matrix that gives structural support for cells. It cushions the joints and nerves, hydrates the skin and hair, and fills the eyes. About one-third of the hyaluronic acid in your body is degraded and replaced every day. Enzymes in your body are responsible for producing it and breaking it down, so it’s continuously being recycled. Unfortunately, by the time you are in your mid 40’s your body’s production of HA will have reduced by about half. This can start to cause some problems that are particularly visible on your skin. About 50% of the hyaluronic acid that your body contains is found in your skin. This makes it very important for your skin’s appearance as it’s responsible for maintaining its high moisture content and keeping it soft, plump and supple (1). The loss of HA from your skin as you age results in a loss of firmness, elasticity, and increasingly drier skin, which is more susceptible to the formation of lines, wrinkles, and sagging. Yuzuri Hara is a village in Japan that came to widespread attention due to the long lifespan and ageless qualities of its inhabitants (2). World Health Organisation research found that 10% of the population were of age 85 and over in Yuzuri Hara. That’s ten times greater than the national average in the USA. This attracted the attention of ABC Television Network, who made a documentary about Yuzuri Hara that brought its inhabitants to the attention of the world (3). 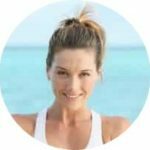 The television report showed people lacking a lot of the common signs of aging that you would expect of their age, and highlighted the fact that many of them had very young looking, wrinkle free skin. These people lead long lives with minimal health issues, and further investigation suggests it’s because of a low meat, vegetable based diet, high in foods like potatoes, corn, taro root, okra, and moroheiya. This encourages the body to retain hyaluronic acid in its tissues (4). But, obtaining the same sort of anti-aging benefits that the people of Yuzuri Hara experience would likely require a lifetime commitment to their diet. While the evidence of Yuzuri Hara indicates that maintaining high hyaluronic acid levels in the body helps to prevent the aging of skin, scientific studies have shown that directly increasing the levels of HA in the skin can have an even more significant effect. Three common approaches to increasing HA levels are; oral supplementation, topical application of creams and serums, and injectable fillers. Skin care products that include hyaluronic acid are widely available. These include face creams, eye creams, lotions, and hyaluronic acid serums for the face. It’s also found as a supporting ingredient in many other skin care preparations and can be bought as hyaluronic acid powder to add to homemade cosmetics. In its normal form, it’s a very large molecule that has a high molecular weight (HMW), but this makes it difficult for your skin to absorb. This presented a challenge for the anti-aging cosmetic industry, because when HMW HA is applied to the skin in a serum or cream it mostly sits on the surface. It’s still effective at moisturizing dry skin, but for the full benefits of HA greater penetration is required. Instead, the water-soluble salt form of HA, sodium hyaluronate, is the ingredient you will often see listed on skin care products. During the preparation of sodium hyaluronate the removal of nucleic acids, lipids, and proteins results in a much lower molecular weight which can penetrate the skin. Recently, nano-hyaluronic acid has been developed that has an even smaller molecular weight and is absorbed by the skin very easily. Scientific studies have proved that low molecular weight (LMW) HA is effective in penetrating the skin and improving elasticity, treating wrinkles, and increasing moisture content when preparations containing it are applied to the skin (5). While HMW HA is not as effective at reducing lines and wrinkles, research has proved that along with being an effective moisturizer and increasing skin hydration, it also increases skin elasticity when applied topically (6). If you’ve had an interest in skincare for a while you’re bound to have heard of Restylane. 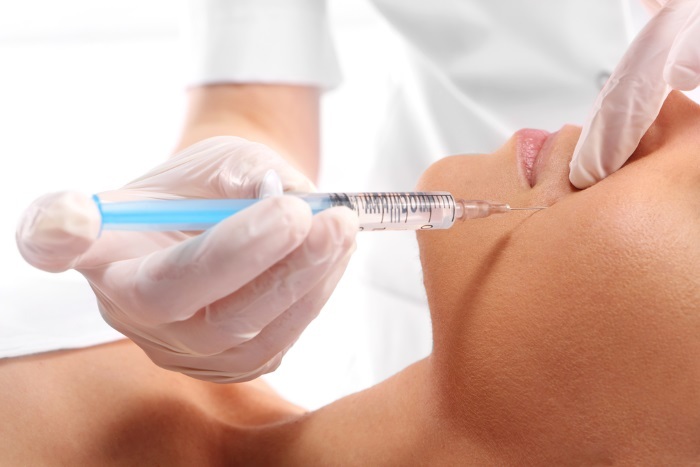 It’s a very popular dermal filler that consists of a specific formulation of hyaluronic acid. Restylane, and other similar fillers like Juvederm, and Perlane, are injected into your skin, where the HA they contain attracts and binds to water. They add volume to the skin and this plumping effect helps to remove the appearance of lines and wrinkles on the face (7). They have become very popular because of how quickly and easily they produce results. A youthful appearance is created for a small fraction of what it costs to get cosmetic surgery, and the procedure is carried out in 30 minutes. It’s also very safe, with only a minority of people reporting minor side effects (8). But, the results are only temporary. As the HA is broken down by your body the effects will diminish over a period of several months to a year. And it’s also understandable that not everyone is comfortable with the idea of having injections in their face in the pursuit of more youthful looking skin. You can use hyaluronic acid supplements for your skin. And evidence shows that it’s absorbed through the small intestine and into the bloodstream, and then distributed around the body (9). There has been some disagreement in the past, with people arguing that high molecular weight HA cannot be absorbed, but studies now indicate that both high molecular weight and low molecular weight HA have a beneficial effect on skin moisturization when taken orally (10). Scientific studies have shown that oral supplementation with pills can improve appearance when taken for two weeks or more, increasing moisture content and smoothing the skin (11). When ingested it stimulates the body to increase the production of HA, with a lowest recommended dose of 120mg per day (10). 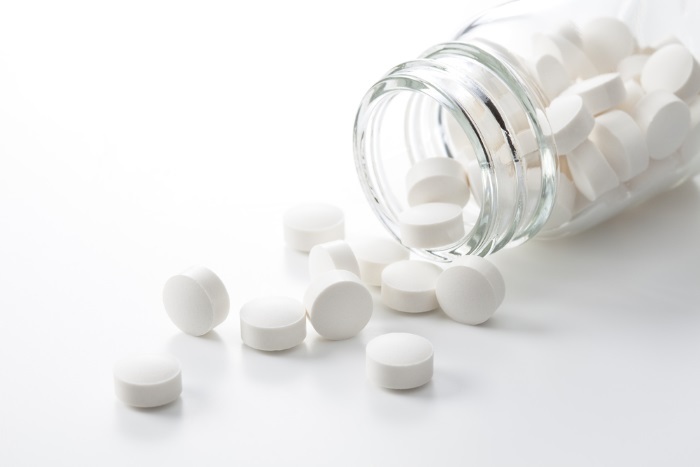 The most effective way of taking HA orally is in the form of a lozenge. High MW HA and Low MW HA have slightly different properties, and for the full range of benefits that HA can have it’s more ideal to take High MW HA. But when high weight MW HA is ingested some of it is broken up into smaller fragments in the stomach and small intestine before absorption, while some of the complete HA is absorbed by the lymphatic system (10). The mucous membranes of your mouth, tongue, and gums allow for easier absorption of the high MW HA. So sucking on a lozenge keeps the HA molecules in your mouth for an extended period of time, increasing the absorption of High MW HA and preserving the full biological activity of the molecule (12). One of the biggest benefits of HA for the skin is the essential role it plays in keeping it moisturized. Its ability to bind to and hold up to 1000 times its own weight in water is responsible for keeping your skin well hydrated, firm, plump, and youthful looking. Scientific studies have shown that when introduced to the skin via the topical application of creams and serums (6), injectable fillers (13), and supplements (10), that the amount of hyaluronic acid in your skin can be raised resulting in an increase in the volume of water held in the skin. One of the hallmarks of youthful skin is its suppleness and elasticity. This is directly related to its moisture content. The elasticity of skin can be measured with a cutometer, and scientists have proved that applying HA to the skin produces a measurable increase in skin elasticity (5). Most people who use hyaluronic acid for their face do so for the anti-aging benefits that are widely advertised. But, does it really work to turn back the hands of time? Scientific testing on volunteers has proved that yes, it really does work to fight the visible signs of aging and reduce lines and wrinkles. In one study, 33 middle aged women used a topical nano-hyaluronic acid serum for a period of 8 weeks. The results showed a significant decrease in the depth of wrinkles in the time period (as much as 40%) (5). This process might be aided by HA’s ability to stimulate the production of collagen in the skin (14). If you have a problem with rough skin then topical hyaluronic acid can give you a big improvement. Studies have shown that applying hyaluronic acid significantly decreases the roughness of the skin structure after 15 days of treatment (5). 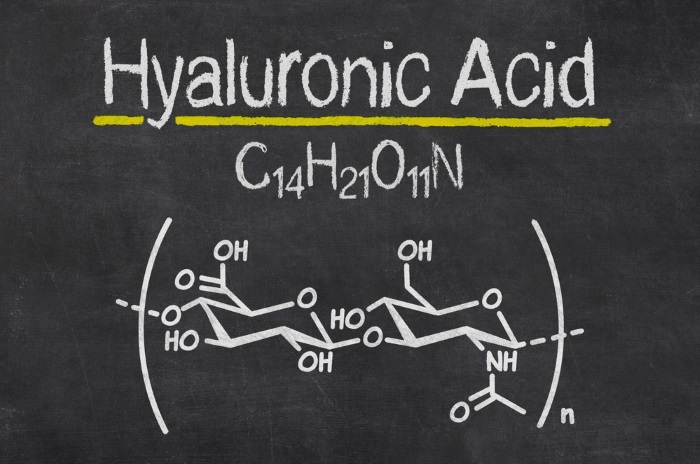 Hyaluronic acid has an essential role in the regrowth of skin wounds. When HA is applied to the skin it accelerates the rate at which the wound heals. Scientific studies have shown its beneficial effects in long term wounds as well as injuries that have only just occurred (12). It is often used in the treatment of burns, where it has proven to be highly effective (15). Hyaluronic acid has proven to be effective as a treatment for skin ulcers and bed sores (16). This is due to the tissue regeneration that it helps to stimulate, similar to its action in treating wounds. Hyaluronic acid offers some protection against the damaging effects of ultraviolet radiation. It can neutralize the free radicals created during sun exposure that cause damage to proteins, lipids, and DNA in the skin (17, 18). 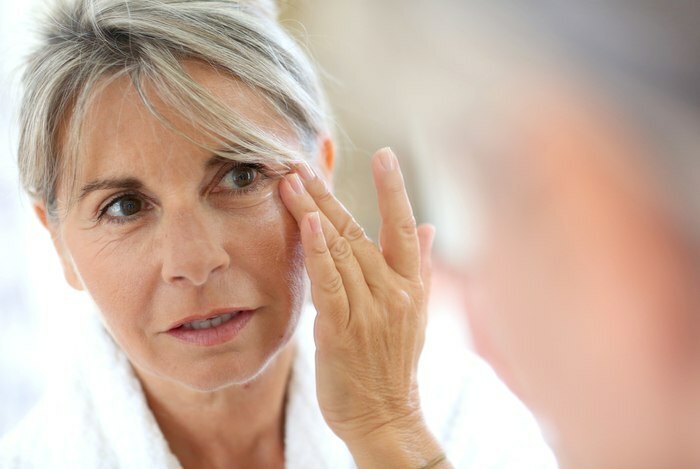 This damage eventually shows itself on the skin as lines, wrinkles, roughness, and sagging. But, while it has a beneficial effect, topical HA is no replacement for sunscreen. Facial scarring is a curse that continues to plague many people long after they have recovered from acne. Studies into the use of hyaluronic acid as a treatment have produced very encouraging results. When injected as a dermal filler, hyaluronic acid creates an immediate improvement in depressed acne scars in people with moderate to severe scarring (19). Due to its anti-inflammatory effects, hyaluronic acid creams and serums can be effective in treating dermatitis when applied to the skin. They make a useful alternative to steroid creams, because in comparison they have very few side effects, and are easily tolerated. In one study using a low molecular weight HA gel, 15 patients with seborrheic facial dermatitis were examined over an 8 week period. The results showed a significant improvement in the condition (20). Another use of the anti-inflammatory properties of hyaluronic acid is in the treatment of rosacea. In one study, patients with mild to moderate rosacea were given a 0.2% HA cream for two months with a measurable reduction in the condition over the period. These results proved the effectiveness of HA for treating rosacea (21). If you are thinking about trying it as part of an anti-aging regime to regain more youthful looking skin, then the answer is YES! All the scientific research points to HA being one of the most important and effective anti-aging treatments for skin on the market today. But, to keep the benefits that it gives you takes a commitment to keep using it for the long run. It’s an unfortunate fact that the levels of HA produced by the body quickly diminish as we age, but at least we now have ways we can replace it. Aside from its use for anti-aging and skin rejuvenation, the benefits of hyaluronic acid for skin include its ability to treat skin conditions like rosacea and dermatitis, as well as an important role in healing wounds and burns. It really is a true beauty essential to keep skin looking young and healthy. Have you seen any benefits of hyaluronic acid for skin? Let us know your tips in the comments below!